Senators Elizabeth Warren and John McCain are reintroducing legislation to revive the Glass-Steagall Act, which would force big banks to split their investment and commercial banking practices. Glass-Steagall was passed in 1933 but repealed during the Clinton administration. The bill would separate traditional banking with checking and savings accounts from financial institutions that offer services such as investment banking. Tagged as Banking, Glass Steagall, Senators Warren and McCain. During the financial crisis, as community banks began failing, the amount of money in all accounts insured by the FDIC was raised from $100,000 to $250,000. However, non-interest-bearing accounts, typically used for payroll contain much more than $250,000. To address this matter, the FDIC approved a temporary program to provide unlimited insurance for these accounts. The premise for the program was that small businesses would keep their payroll accounts at local banks if they felt all of it remained safe. The program provides unlimited insurance for $1.4 trillion in non-interest-bearing transaction accounts. In 2010, Congress extended the unlimited coverage for two years with the Dodd-Frank law. The agency is now operating on the assumption the program’s life is over, according to an FDIC official, and insurance will be limited to $250,000 for those accounts. If this program that insures small business accounts expires at the end of December, small companies may shift billions of dollars in deposits from community banks to the nation’s largest banks. Big banks don’t offer this type of insurance either, but the public perception is that they are too big to fail. 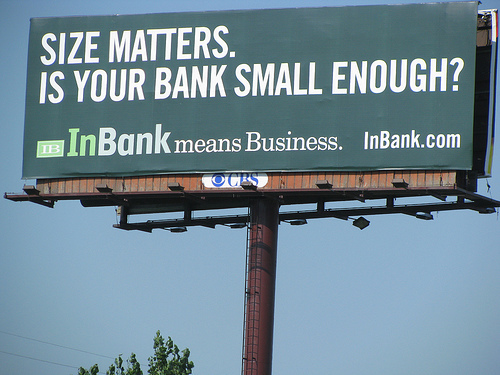 Small bank lending to small firms will be hurt if the program ends this year. The Independent Community Bankers of America, a trade group, is lobbying Congress to extend the transaction account guarantee program, arguing the economy isn’t yet healthy enough to eliminate it. Bill Isaac, who led the FDIC during the 1980’s banking crisis says that doing away with the insurance now would reroute funds to large banks, hurt small business and impede job growth. What do you think the effects of this law’s expiration will have? Do you think it’s something that we should have had in the first place and that we should or shouldn’t extend? Please let me know in the comments below. The FDIC just released its Quarterly Banking Profile (“Report”) for the period ending December 31, 2011. Although, the Report shows a decline in the number of problem institutions compared to recent periods, the number is still elevated compared to historical levels. Therefore, this decline does not mean that the current banking crisis has passed. What is a problem institution? A “problem” institution is a bank that has been rated by the FDIC as either a “4” or a “5” on the agency’s 1-to-5 scale of ascending order of supervisory concern. How do the current number of problem institutions compare to historical levels? The Report shows 813 problem institutions compared to 844 at the end of the third quarter and 884 at the end of 2010. The quarterly decline amounts to a drop of approximately 3.6%. The 2011 annual decline represents about an 8% drop. What were the number of problem institutions in 2007 and 2008? At the end of 2007, there were 76 problem institutions. At the end of 2008, there were 252 problem financial institutions. Do a declining number of problem institutions indicate improvement? Fewer problem institutions is not an indication of a greater number of improving institutions. In fact, most of the decline is due to problem banks either failing or merging with other banks. The total number of reporting institutions has declined from 8,305 at the end of 2009 to 7,658 at the end of 2010 and only 7,357 at the end of 2011. The Report does not include information indicating how much of the decline is due to improvement versus other factors overall as this information either has not or cannot be assessed. What does a decline in the number of bank failures mean? There has been a decline in the number of bank failures. So far, for the year 2012, there have been only 11 bank failures compared to 23 at this time last year. However, it is difficult to draw a conclusion based on this number. With over 800 problem institutions and banks continuing to fail, it is clear that we are still in a problem period. The Report indicates that the overall outlook for the industry is one of recovery, growing net income, declining loan loss provisions, and declines in noncurrent loan balances. If you haven’t subscribed to my blog yet, it’s entirely free and will make reading the blog even easier. Please do so in the right hand column. Thanks! With our recent move to our new offices, we’ve also given our website a new look and feel.